Sorry, this property does not accept pets. The gas stove, night storage heater, and portable electric radiators provide the heating for the property. With magnificent sea views far across Mounts Bay towards Newlyn harbour and the Lizard Peninsula and the sea only a few yards away across the road, this partially double-glazed, mid terrace cottage is situated on the promenade in the attractive seaside town of Penzance. Penzance has a wide range of shops, galleries, pubs and restaurants all within a quarter of a mile and the open air Jubilee bathing pools are just a couple of minutes walk. St Michael's Mount and the sandy beaches of Marazion are about 3 miles, and there is also a pebbled beach revealed at low tide just yards from the cottage. Newlyn, Mousehole, Lamorna and Porthcurno are all just a short drive, the latter being home to the cliff top Minack Theatre, and both Trengwainton and Trewidden Gardens are less than 2 miles. 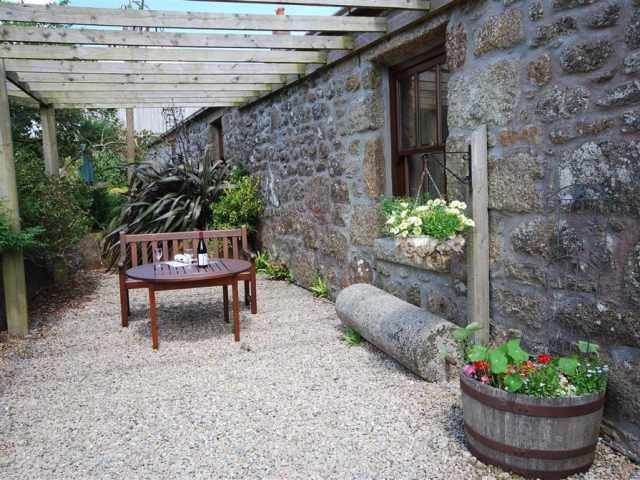 There are daily services by ferry to the Isles of Scilly and glorious coastal walks nearby. Approached through a walled and gated garden with a small lawn and paved terrace, a couple of shallow steps and a path lead to the front door set beneath a porch roof which opens to an entrance lobby with coat pegs. A doorway to one side leads into a pleasantly light living room with some exposed beams, white painted stone walls, patio doors opening to the front terrace, and comfortable seating arranged before the granite fireplace housing a gas coal-effect stove. At the rear, adjacent to the small dining suite, a door leads through to a neatly fitted kitchen, a utility room with laundry facilities and a service courtyard. Carpeted stairs go directly up from the sitting room to a landing with a cloakroom W.C., bathroom with hand basin, heated towel rail and shower over the bath and two charming bedrooms. 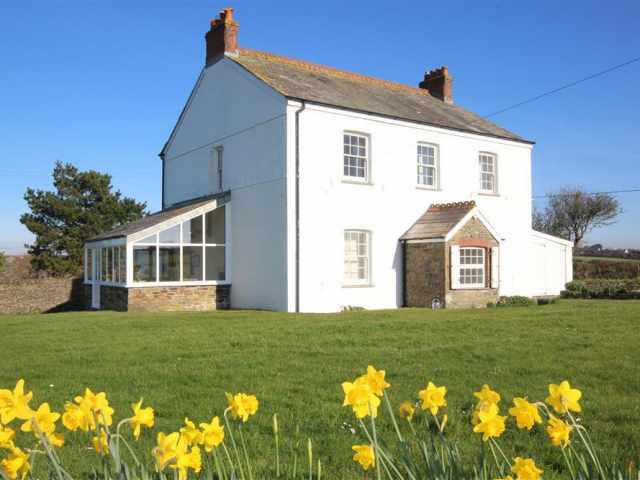 There is a double at the rear with a king-size bed and built-in furniture, and a delightful twin bedded room with two single beds that can be pushed together and easy chairs set in the huge bay window to take full advantage of the uninterrupted sea views across Mounts Bay. The enclosed front terrace has patio table and chairs where you can enjoy the sights and sounds of the sea across the road. It is usually possible to park on the seafront outside the property, or alternatively there is a pay and display car park 150 yards away.